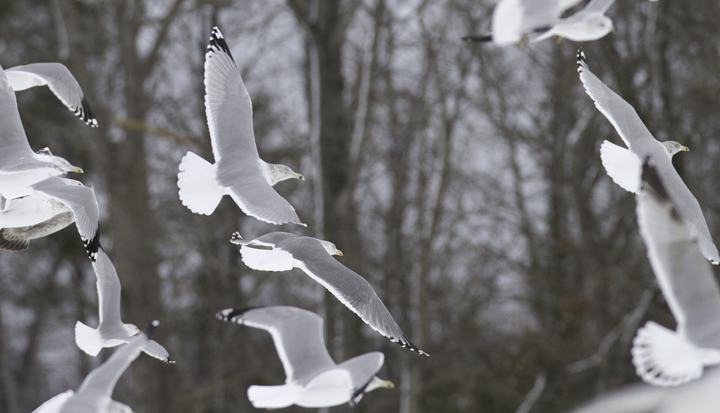 Interesting gulls in Charles Co., Maryland. 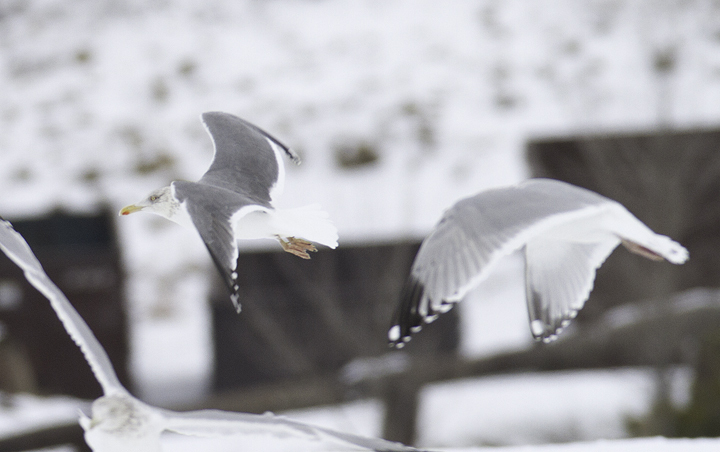 Last updated: 1/31/2011. 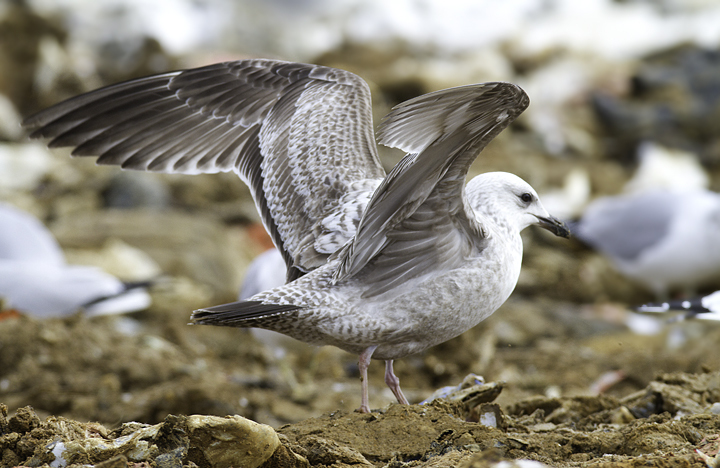 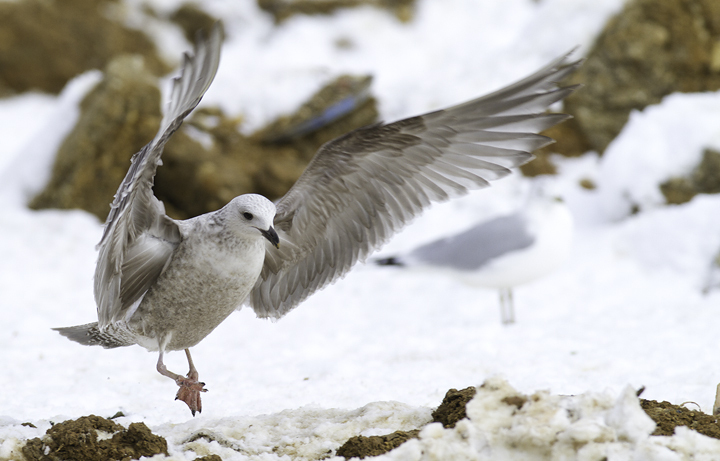 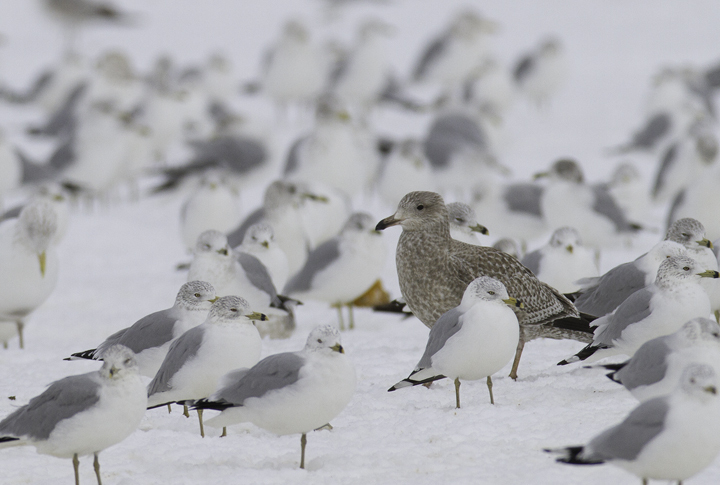 Above and below: A first-cycle Nelson's Gull (Herring x Glaucous) hybrid at the Charles Co. 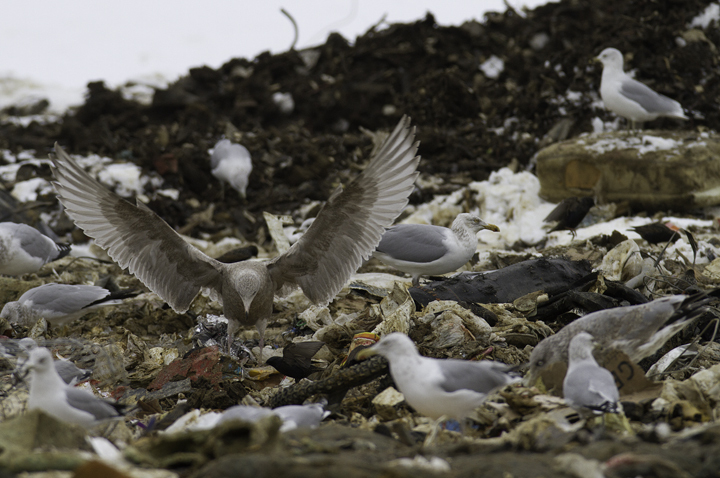 Landfill, Maryland (1/29/2011). 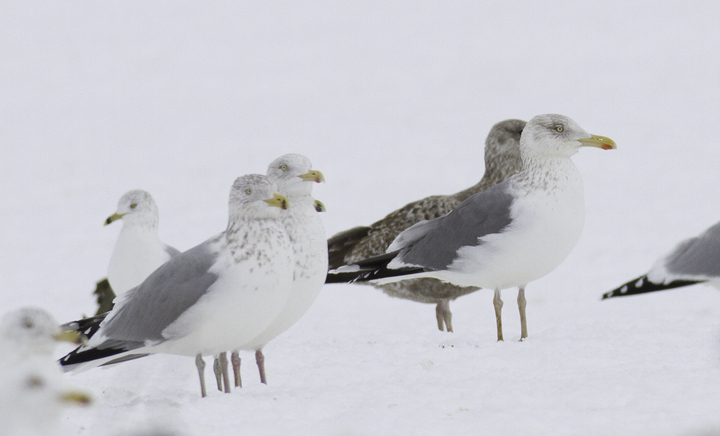 Below: A presumed adult Lesser Black-backed x Herring hybrid at the Charles Co. 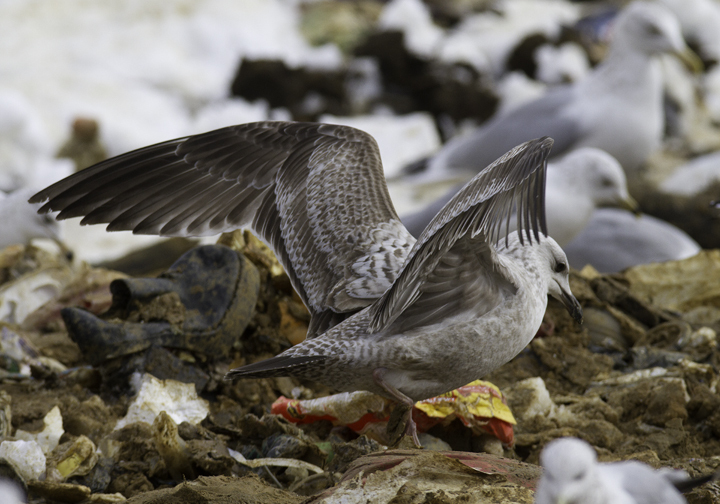 Landfill, Maryland (1/29/2011). 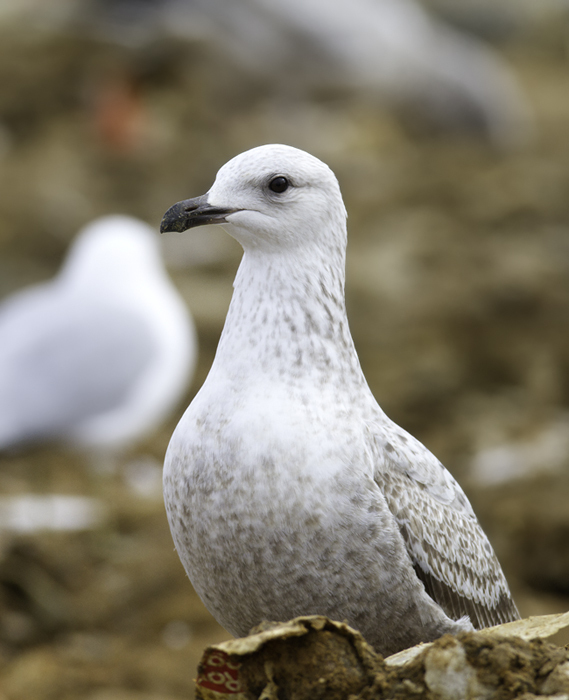 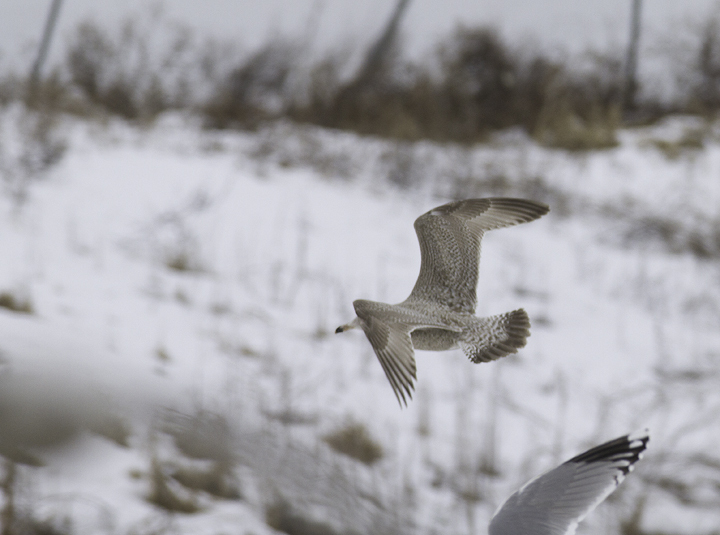 Below: An interesting first-cycle gull at the Charles Co. 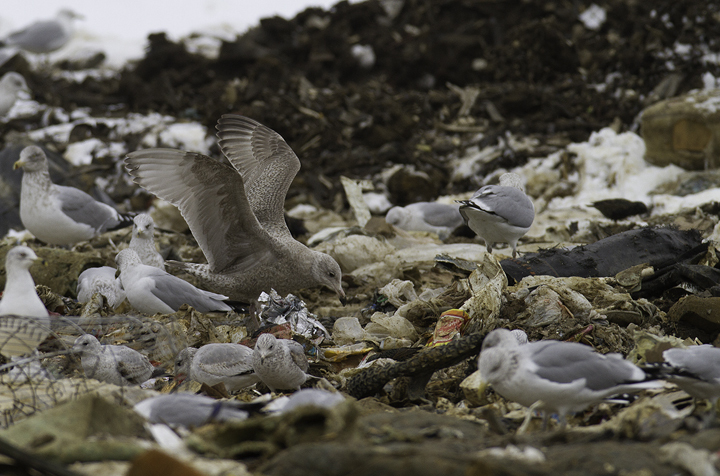 Landfill, Maryland (1/29/2011). 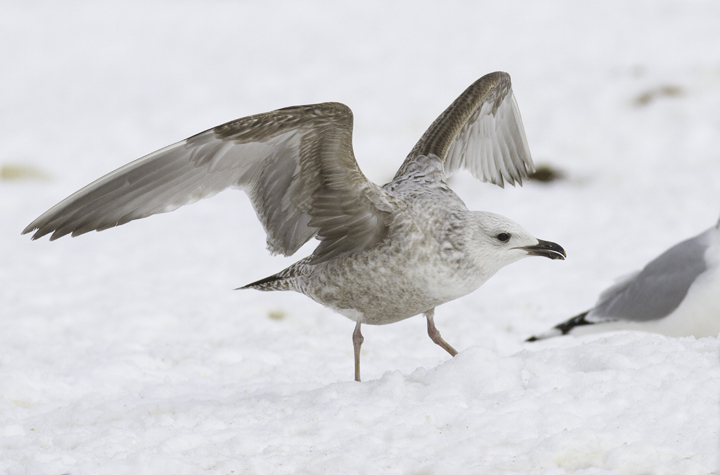 It is most likely just an unusual Herring Gull, but some features had us originally considering Lesser Black-backed x Herring hybrid. 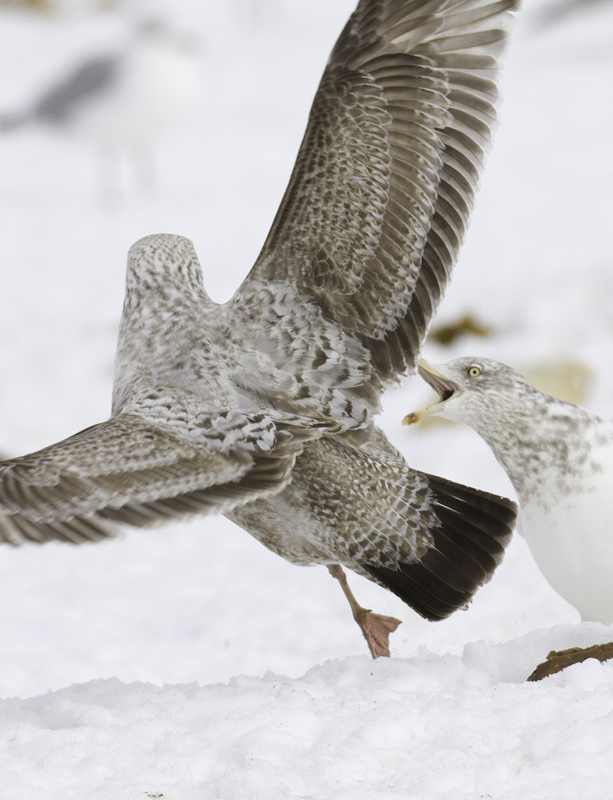 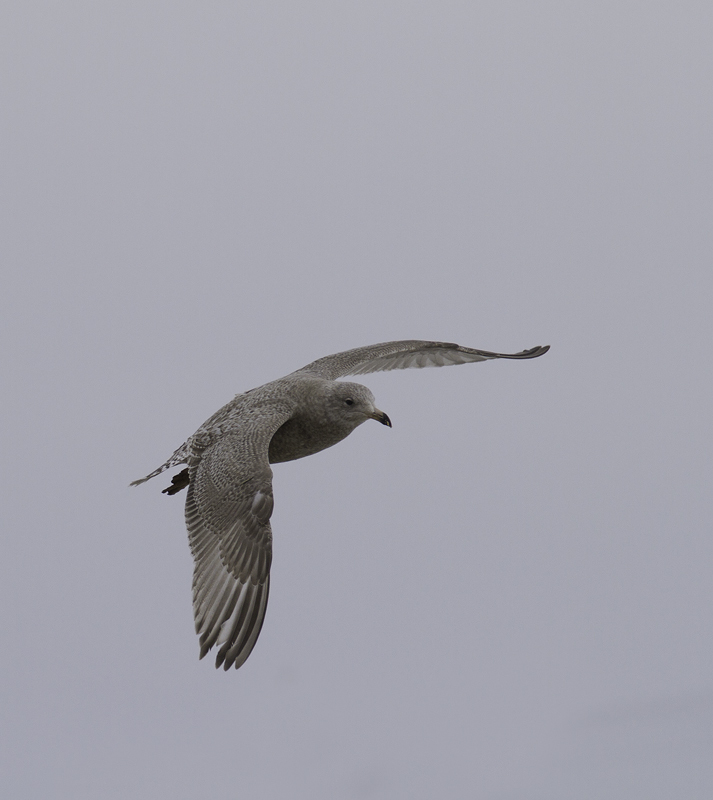 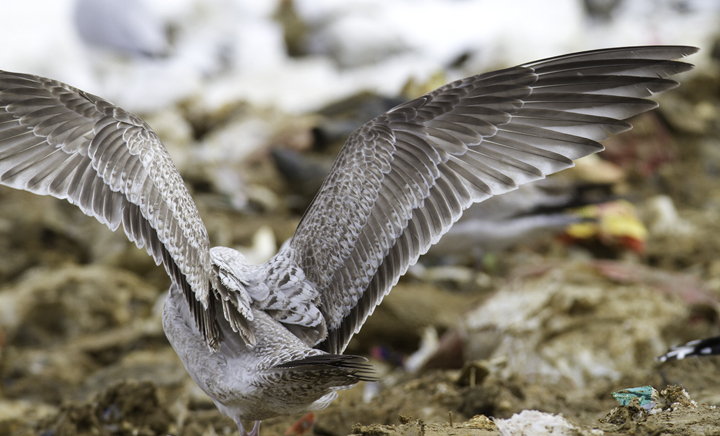 Below: For fun, I'll point out that this bird recalls Glaucous Gull for me. 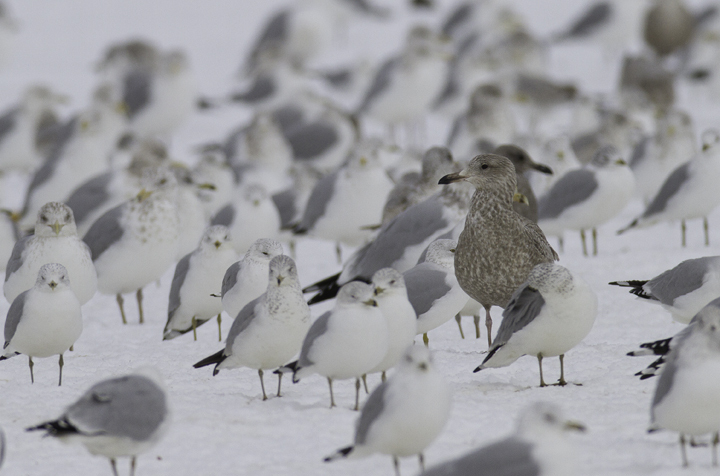 How often are these impressions due to hybridization/backcrosses in a bird's past? 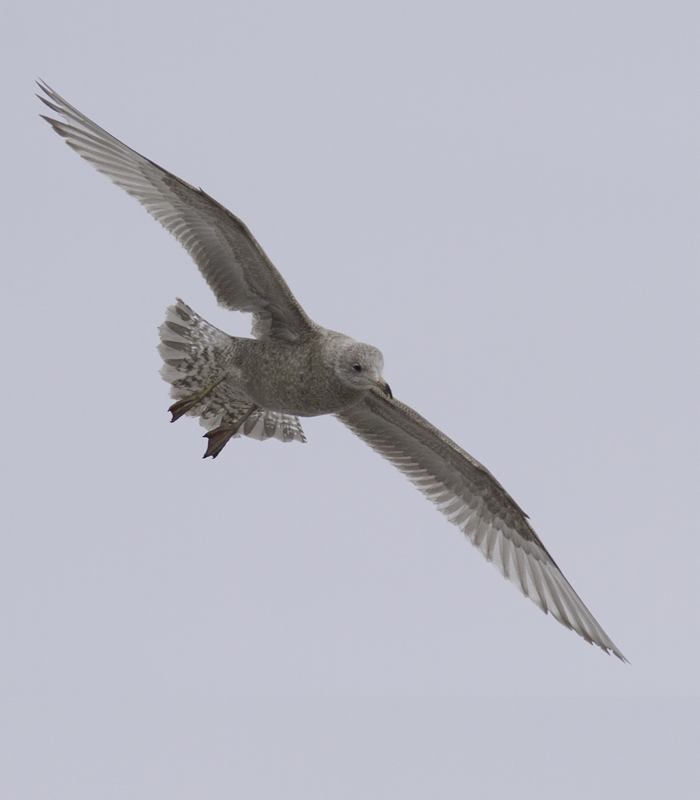 I can't help but think that such distant backcrosses should be fairly common. 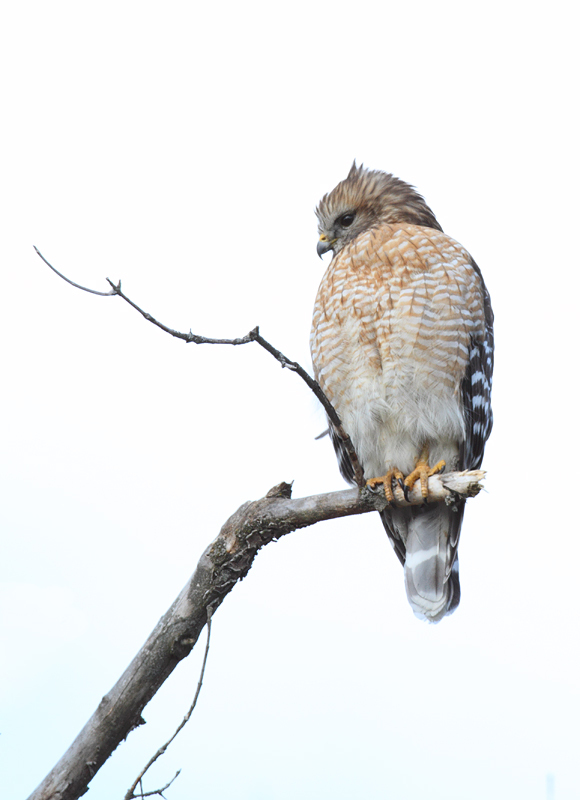 Below: An adult Red-shouldered Hawk in Howard Co., Maryland (1/23/2011). 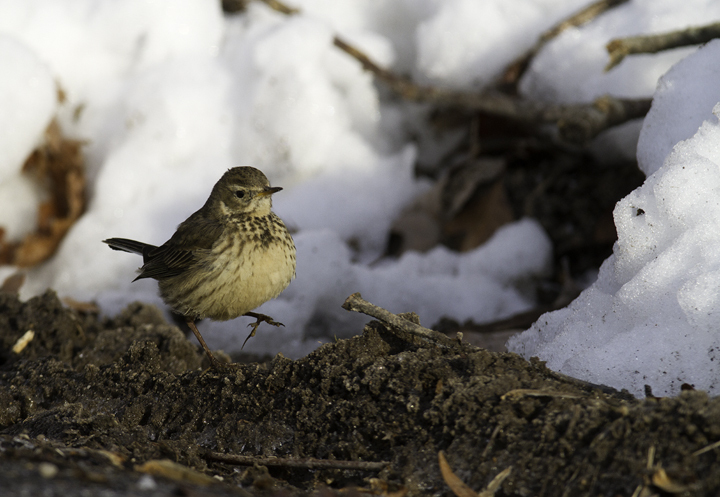 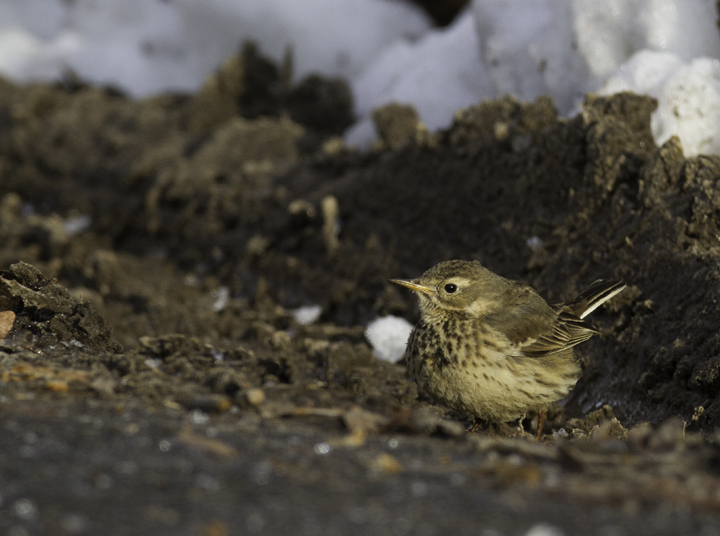 Below: An American Pipit feeds at the roadside on a snowy day in Prince George's Co., Maryland (1/29/2011). 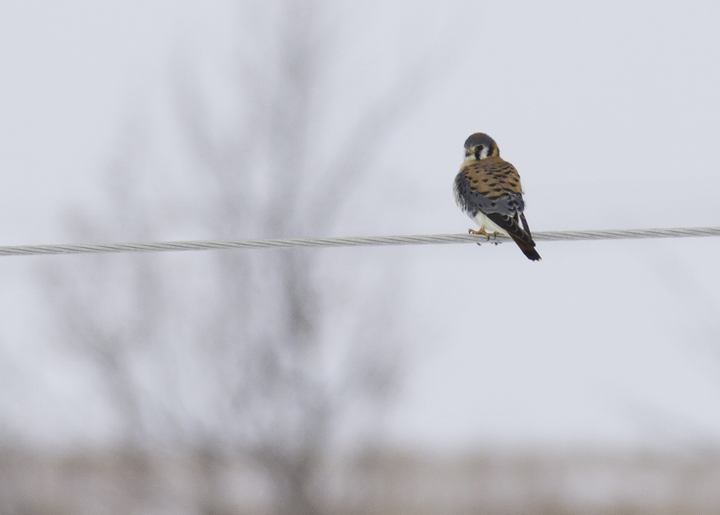 Below: An American Kestrel near Blue Mash Nature Trail, Montgomery Co., Maryland (1/30/2011). 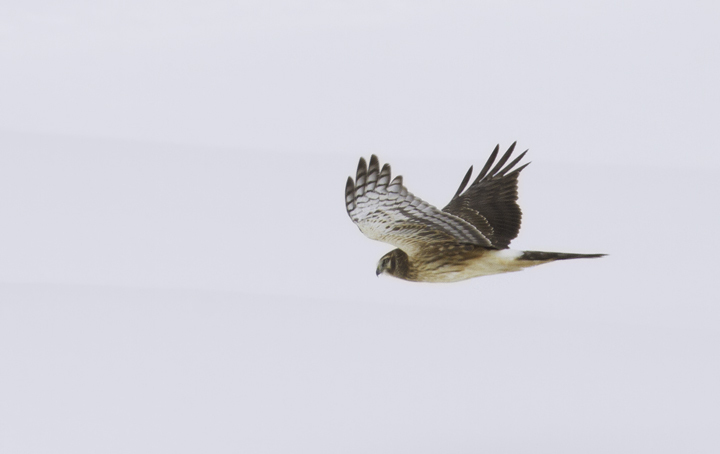 Below: A Northern Harrier in Montgomery Co., Maryland (1/30/2011).